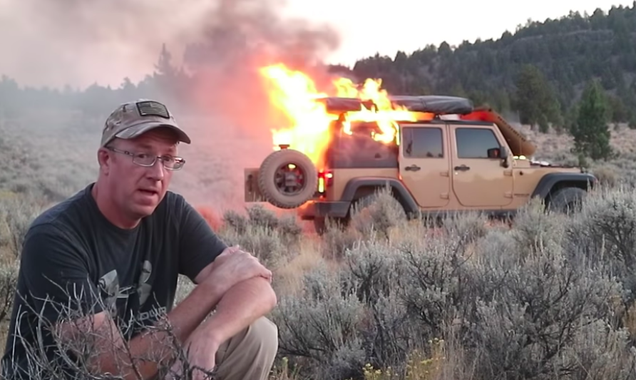 In late August, a YouTube vlogger recording a fun little expedition out in Oregon ended up stuck in the middle of nowhere, helplessly watching his 2013 Jeep Wrangler turn into a huge fireball. He filmed the whole thing, and the resulting video is just bizarre. I moved this from the Jalopnik board. Pretty interesting to speed through (watched at 1.5x speed, and jumping around here cuz the video is really long at 26 minutes), especially after the flames start.